This article was written by joyofsocks.com to help inspire the Kings who visits our blog and of course who reads our posts. I hope this beautiful post inspires you. ENJOY! Socks are a unique addition to an outfit because although they are seldom seen, they still require careful consideration. There are some basic rules of thumb to follow, but just remember that style rules are meant to be taken with a grain of salt. Hopefully this quick guide will help you to pair the right pair, but again, you define your personal style, so don’t be afraid to do what feels right to you. high-tops. In a casual or dress setting, consider matching your socks with your trousers for an understated and simple look that just works. It is also completely acceptable to wear a darker version of the same shade. Matching slacks and socks provides an unimpeded visual line from the waist down to the shoes. As you develop your unique, personal style, bold colors can be your best friend or your worst enemy. Used correctly in the right context, a pair of colored socks can add some subtle flair to an outfit. One easy way to choose the right color is to check out a color wheel. Each color has an opposite, and those are called complementary colors. Matching a complementary sock to the dominant color of your outfit is an easy and effective way to ensure a successful pairing. If you are going to wear a funky pair of socks, do so unabashedly. There is a fine line between successfully pushing the boundaries and making an otherwise acceptable outfit look awkward. These days, plenty of men and women are pairing wild, outlandish socks with casual and in some cases even formal attire. It is sort of a wink and a nod to other free-spirited individuals who are willing to embrace their fun and care-free side. When you wear socks that flaunt your unique personality, don’t stress too hard about the colors. As long as you aren’t matching your shoes, you should be good to go. Funky socks like the ones sold at Joy of Socks are supposed to make a bold statement, so don’t get too hung up on matching them with the rest of your outfit. At the same time, you should avoid wearing any bright colors or patterns, opting instead for subdued blues, blacks, or greys. If you are feeling particularly ambitious, you may want to dress to match the theme of a major event. For example, you could wear the colors of your favorite sports team at the game, or wear your company colors at a corporate event. Another trick for formal occasions is to match the color of your socks with a tie, shirt, or pocket square. This really pulls an outfit together and shows that you put that extra thought into your attire. At the end of the day, the socks that make you happy are the socks that you should wear. In the world of fashion, rules are meant to be broken. 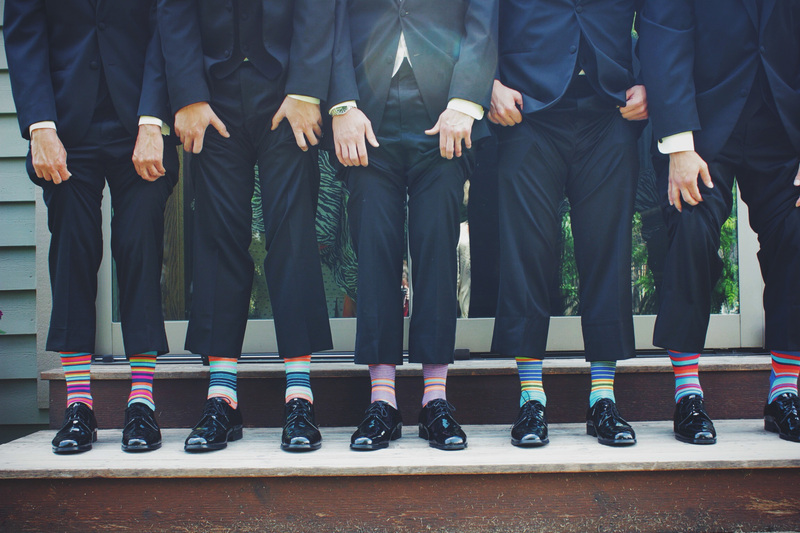 As your sock collection grows, you will develop a natural eye for what works and what doesn’t. In the meantime, match your pants, check your color wheel, and don’t be afraid to embrace unique patterns, textures, and designs. Steven McAllister is a blogger, freelance writer, and fashion enthusiast who works out of his home office in San Diego, CA. He lives for surfing, jogging, and sunny days at the beach. Yeah. I got lots of socks with variety of colours.